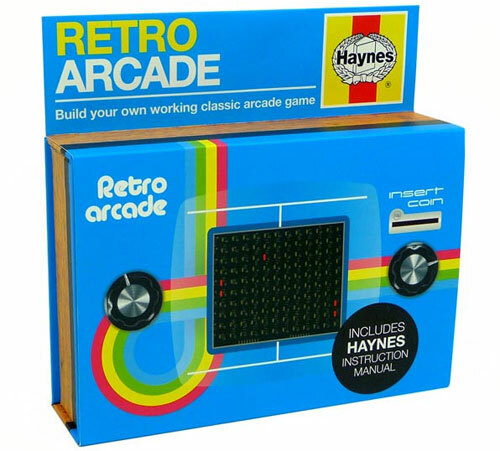 This was once cutting edge, but the Retro Arcade Game Kit by Haynes shows just how far we have come in a few decades. It’s an old school handheld. Very old school as this one plays Ping when complete. 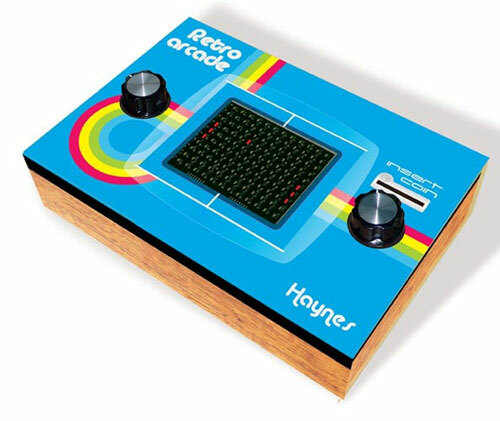 Yo know, the tennis-style bat and dot game that heralded the arrival of ‘computer’ gaming in the home. The set here, in its suitably retro casing, gives you the chance to build your own. 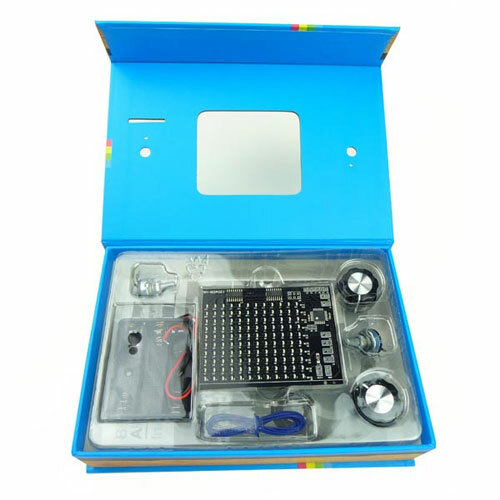 Just follow the instructions to build your own console, which has the Raspberry Pi chip at its heart and lots of low tech LEDs for the screen. All the parts you need are here, plus the instructions. All you need is the confidence to do some soldering, a few hours and 3x AA batteries.